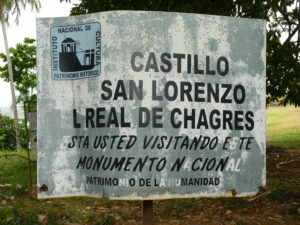 The 400-year-old Spanish ruins of San Lorenzo are a UNESCO World Heritage Site, about 40 km (25 miles) west of Colón. 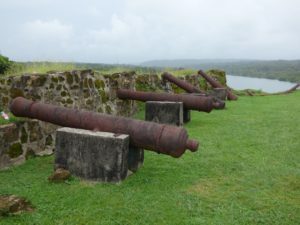 You have to cross the Panama Canal, which nowadays involves a ferry more often than driving across the little swing bridge, and then you drive through the tropical forest, and pass through the former US Army Base of Fort Sherman. 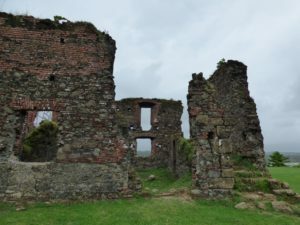 There is very little tourist information available at the site but you are free to wander around the atmospheric ruins and imagine what it was once like. 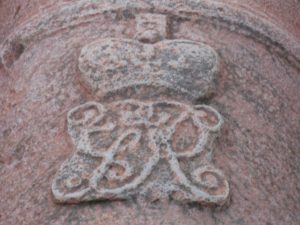 A website that sometimes works. 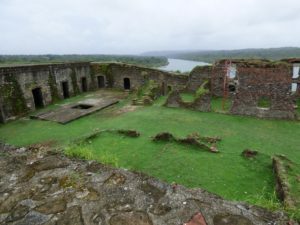 The views of the Chagres River and out to the Caribbean are spectacular, and the area is known for excellent bird-watching in the surrounding Parque Nacional San Lorenzo. 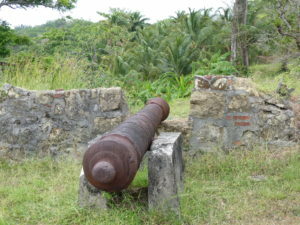 San Lorenzo’s commanding position and abundant cannons weren’t enough of a deterrent for the various infamous pirates of the day. English pirate Sir Francis Drake attacked in 1596, then Welsh Captain Henry Morgan in 1671. 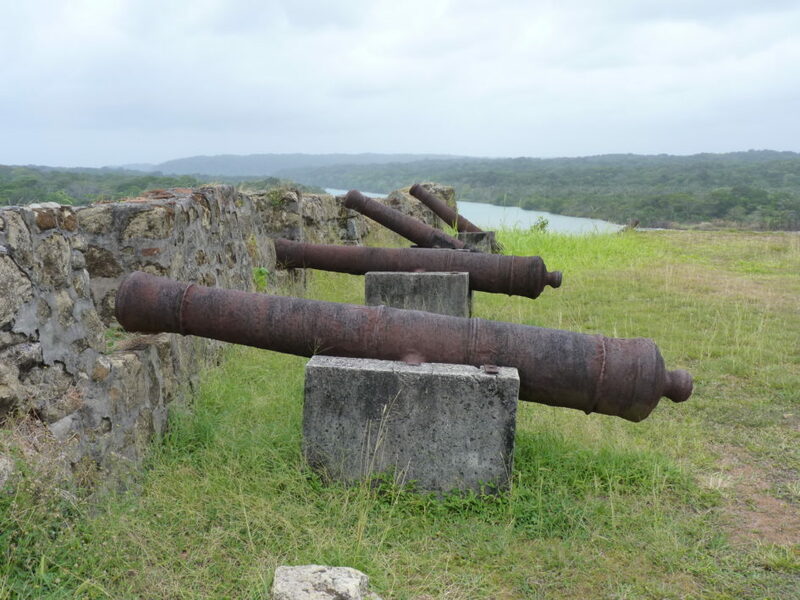 Morgan then led his men up the river and across the isthmus to sack Panamá Viejo. 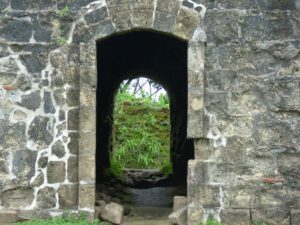 Henry Morgan was lucky to take the fort: one of the Englishmen was shot through the back with an arrow which went straight through him. He broke off the arrowhead and wrapped cotton around it and loaded it into his musket. 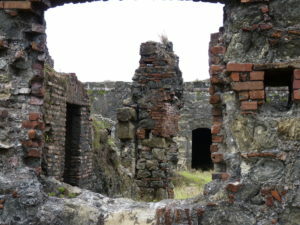 The arrow ignited when it was shot from the rifle and hit a thatch roof that covered the Spanish gunpowder. 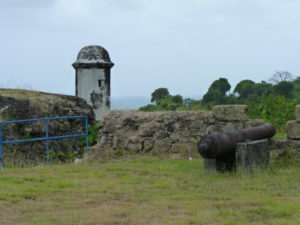 The gunpowder exploded and the fort caught on fire forcing the Spanish troops to surrender. 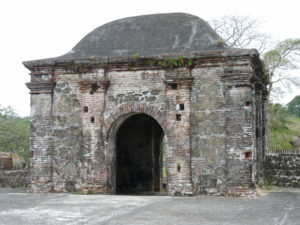 San Lorenzo was rebuilt with stone in 1680, but was again destroyed by the British admiral Edward Vernon in 1740. 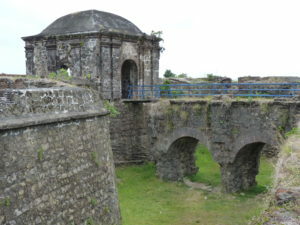 It was rebuilt yet again in 1768 and had fortifications added to it in 1779. 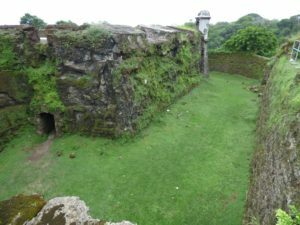 This is the fort that stands today. 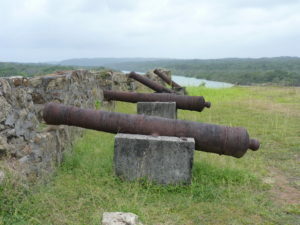 If you inspect the cannons closely, you’ll notice that some of them are actually British-made. 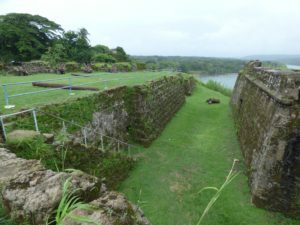 Along with Portobelo, San Lorenzo became one of the most visited forts in the 17th and 18th centuries, by merchants, traders, and colonizing powers that arrived there from Spain. 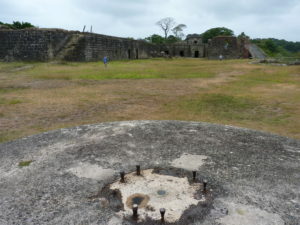 By the middle of the 18th century, the Spanish had largely abandoned both of the old trails over the isthmus, preferring to sail around the tip of South America at Cape Horn. 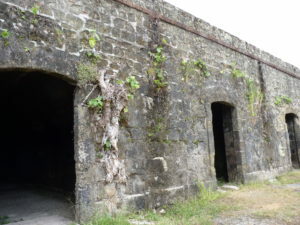 For over a century, Fort San Lorenzo was used as a prison, then in 1848 it briefly became a campground for prospectors during the Gold Rush, who were waiting for the steamboat service on the Chagres River. 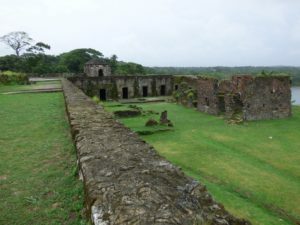 The 1855 completion of the Panama Railway saw travellers move to Colon for the faster transcontinental travel time. 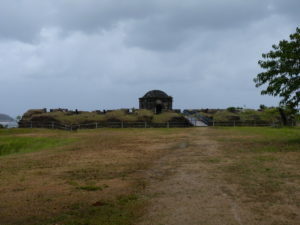 In the 1980s UNESCO restored the fort to its current condition (which is pretty sparse). 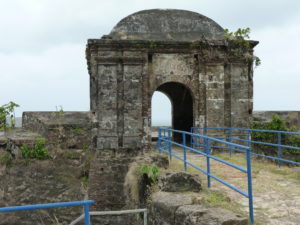 San Lorenzo and Portobelo are both magnificent examples of 17th- and 18th-century Spanish military architecture in the neo-classical style, but they are crumbling to ruin as a result of environmental changes and erosion which have attacked the structure directly. 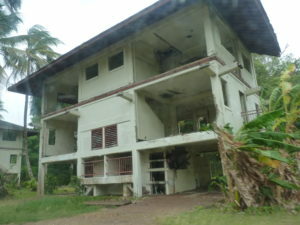 There are plans for further restoration. Since the opening of the expanded locks, crossing the Canal has become more difficult. There is a bridge under construction by the French that was supposed to open in 2014 but this is still some time away from completion. 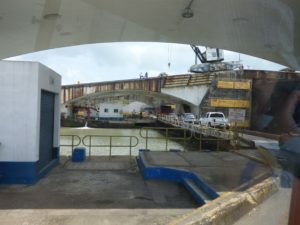 You have previously been able to drive a across a small swing bridge that connected across the lower entrance of the Gatun Locks, and there is a road across the top of some of the gates in the new Agua Clara expanded locks. 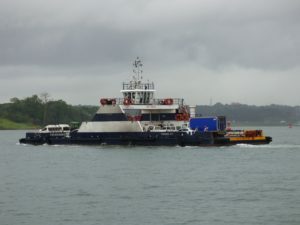 The ACP currently prefers that traffic catches one of the ferries that cross the approaches to Gatun Locks. 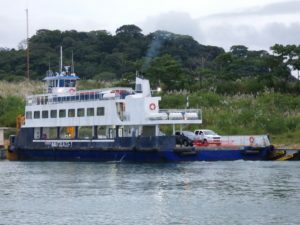 As you would expect in Panama, there is no timetable and the ferries run at erratic times. 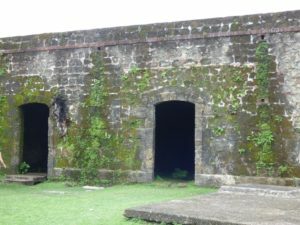 The US military built Fort Sherman in 1911 to defend the former Panama Canal Zone. 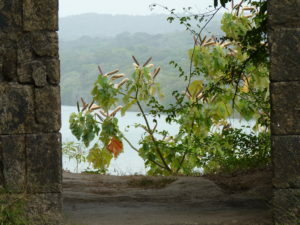 After World War II, the forested area around the fort was used for training in jungle warfare. 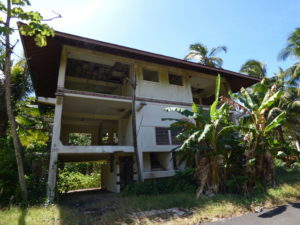 It eventually became a training center for Special Forces heading to Vietnam. 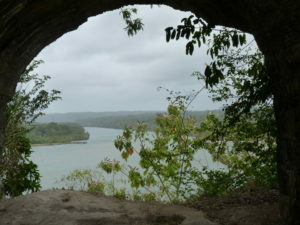 The San Lorenzo Protected Area is an important link in the biological corridor that runs across Panama. 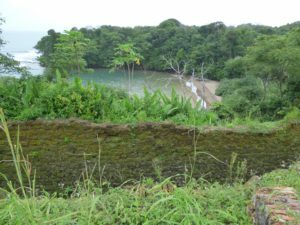 It’s also a crucial component of the Mesoamerican Biological Corridor, which spreads across all of Central America, and helps to support species migration between continents. 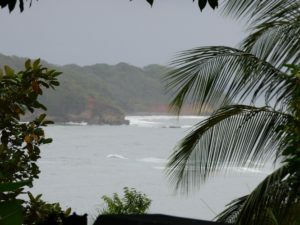 It also protects 12 ecosystems, four types of forest, wetlands, and mangroves. 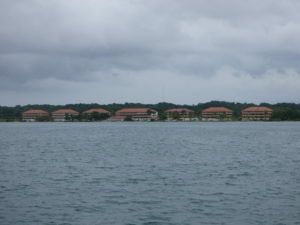 If you are out this way in a taxi, a good place to stop for lunch is at the marina which is just past Fort Sherman.